Mastery as a jazz performer consists of the ability to fully communicate one’s feeling and spirit through one’s personal expression. 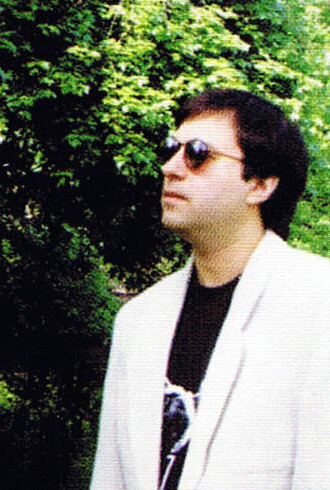 Lonnie Leibowitz, as with any true artist, has spent years paying his dues to achieve a high level of mastery as a pianist and composer. His well crafted and intensely emotional conception has shown forth as unique while altogether appealing. It is fortunate that over recent years his music has begun to reach the ears of a wider audience. Lonnie’s childhood in Queens, NY included piano lessons and performances as a pianist, guitarist, bassist, and singer in rock and funk bands. He began composing for the voice and piano as early as age 12, and soon began to branch out toward jazz. Lonnie’s music education in jazz piano, conception, and harmony continued with Connie Crothers and Sal Mosca, both protégés of the legendary Lennie Tristano. In addition to private study with these masters, Lonnie augmented his musical knowledge and compositional skills with conservatory training at the Aaron Copland School of music. Throughout the 1980’s, Lonnie established himself as a music educator while continuing to perform in a variety of contexts. He performed as a sideman with jazz trumpet great Jimmy Nottingham and others touring the USA and Canada. Involved with many different music genres and scenes, he has performed at many New York City clubs. He has headlined at Birdland, The Five Spot, The Bitter End, Tatou, Sign of the Dove, JP’s, Trax, Eric’s, and Smalls. Other appearances include concerts at the Tusten Jazz/Blues Festival, in St. Paul’s Festival of the Arts, and outdoors at The Bayard Cutting Arboretum on Long Island. Lonnie has also performed in concert at Queens College, Lehigh College, the College of New Rochelle, Dowling College, and recently as part of a jazz series at Sussex Community College, as well as many music festivals in and around the tri-state area. 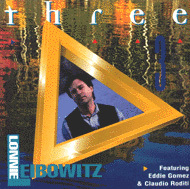 In 1995, Lonnie’s long awaited debut recording, “Three”, was released by Trimaster Records. The critically acclaimed CD, showcasing Lonnie’s playing and compositional talents, features eight original compositions. It also features the artistry of trumpet great Claudio Roditi and bassists Eddie Gomez and Rufus Reid. Since then he has been featured as a guest on several radio shows throughout the country, including WKCR in New York. He has also been featured on artist profile shows seen on Westchester and Time Warner Hudson Valley Cable TV. 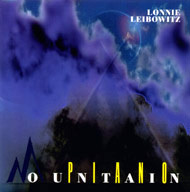 In 1997, Trimaster released Lonnie’s second CD, “Piano Mountain”. Autobiographical and spiritual in nature, the recording features Lonnie with a piano trio. This unique artistic package includes a mix of seven original compositions, standards, and spotlights his poetry, as an additional expression of his vision. The CD also features the playing and support of one of the industry’s finest bassists, Drew Gress. Lonnie’s latest release, titled “Terra’s Ascension”, is his first complete solo piano recording, and is also his first for New Artists records. It is being released in the spring of 2005. Comprised mostly of free improvisations, this collection touches many musical boundaries, and has many diverse musical influences; some perhaps outside of what is usually considered to be “jazz”. The music is presented with titles pertaining mostly to spiritual and earth concerns, and is delivered with a highly emotionally, intense, but clear, original conception. Lonnie says he hopes the recording can help “raise the vibrations” . He also dedicated the performance to his one time mentor and forever friend and inspiration, pianist Connie Crothers.